I run a charity that accepts donated cars. I work on them and they are given to folks that go through a program at Transylvania Christian Ministries. I was given a 1998 S70 one owner car (155,820 miles) that was well maintained. I did several things to it. but in checking the air filter I found a black vacuum line laying in that area with both rubber ends ripped up from age. Also there was no line in the upper fitting on the back of the air box top. I am attaching pictures. At the same time, there is now a pretty good size oil leak that was developed between the engine and transmission housing. Not sure if these two things are related. I drained out some oil and put in a bottle of Bars, so we will see what that does. Can anyone tell me where this black line goes? No idea on the line....but the oil leak might be the rear main seal.....doubtful the two are connected. Bars leak usually works pretty well. The location you showed is, I think, a thermal switch that operates the hot/cold air intake flapper. It's built into the bottom of the air cleaner housing. If that stops working of course the driver doesn't notice it. Naturally one line goes to a vacuum source and the other goes to the flapper. On my cars, though, those lines are just rubber nose, and not like the hose you found. The hose itself does not look familiar but I'll look and think about it some more. I have several Volvos including some 1998's, and they vary, but the canister purge is an example of something that uses plastic line in that area of the car. The cruise control transducer is under there too, and it also uses a line that looks like that. If the cruise works then you'll know it's not that. Look at Robert here at 7:05, but he is working on an earlier model. Is this a T5 turbo or not? Last edited by firebirdparts; 06-01-2016 at 10:16 AM. That looks like something someone added themselves. I've never seen a connection on the back of the air box like that. Like firebirdparts said, it might be linked to the cruise control system, which is located under the battery tray, but I'm not sure. Is this a turbo or N/A? That might help narrow it down a little bit. As for your oil leak, most likely the rear main seal. 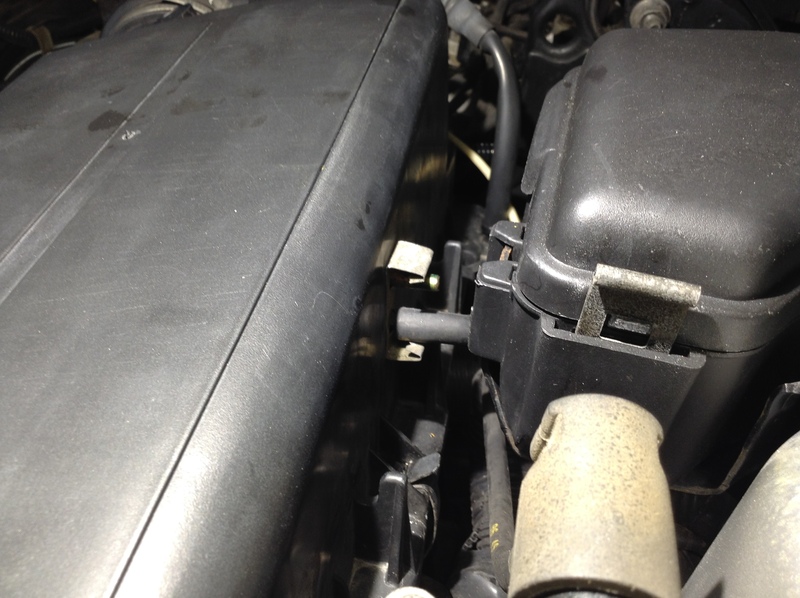 Being that there is a leak there, remove the plastic engine cover over the spark plugs. If you see oil (which you probably will), you need to replace your PCV system, because if you do the RMS without the PCV and it's still bad, you're looking at more seals blowing out, like a cam seal or a head gasket. I see now, I just saw a picture with it yesterday. It is factory. Thanks for all your responses. I have been out of town for 5 days. I will be getting back on this project tomorrow. Where does vacuum line go to for air pump? 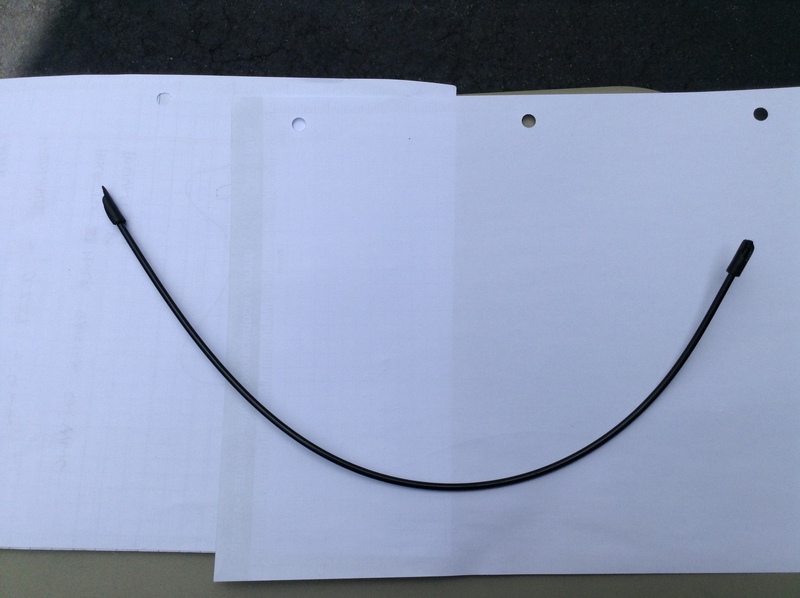 Quick Reply: 1998 S70 Vacuum Line Question Where Does This Go? ?